From Chocowinity,NC take #33E to Clay Bottom School Rd. to Cotton Patch Rd. to Crisp Landing Rd. My small pond yeilds many wildlife species right at my back door. 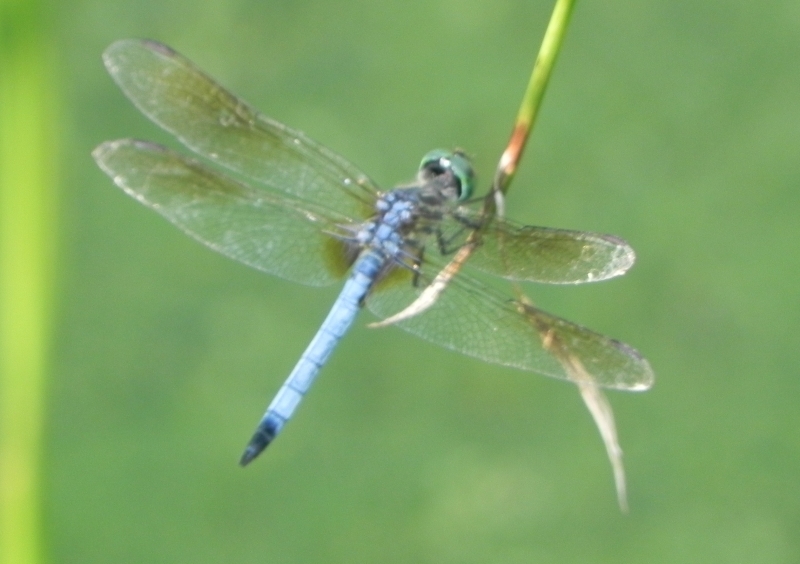 Dragonfly on weed near pond.